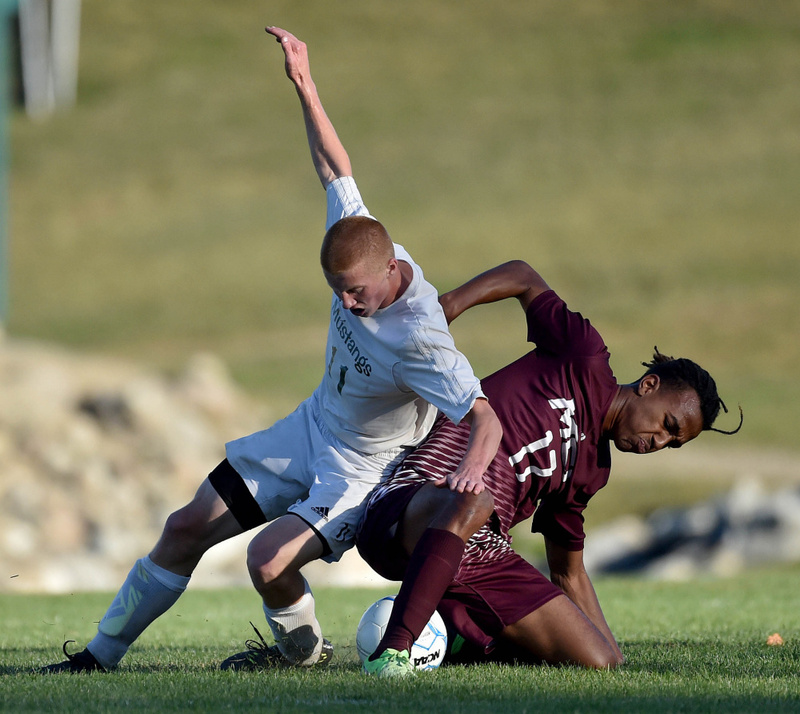 THORNDIKE — The Mount View boys soccer team has already exceeded its expectations this season. Now the Mustangs are ready to set the bar a bit higher. 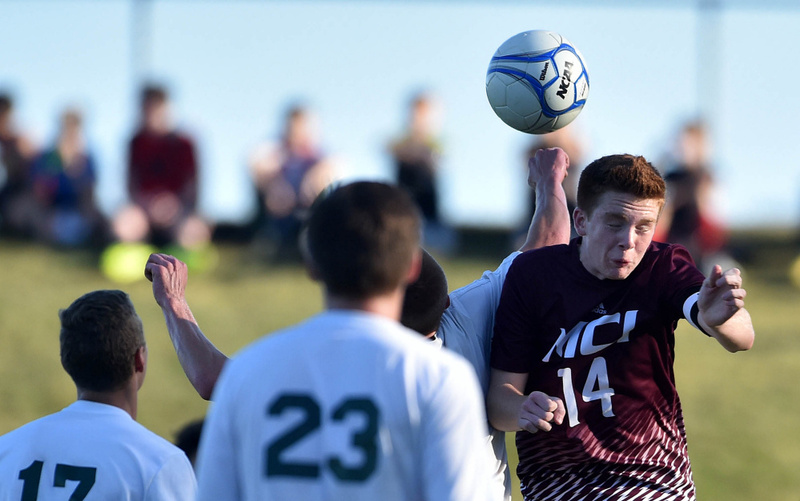 After a 3-1 victory over rival Maine Central Institute on Tuesday afternoon, Mount View is entering long-unchartered waters: Staying near the top of the Class B North standings, with a strong possibility of hosting a playoff game. The Mustangs went 4-9-1 last season. They wake up Wednesday morning at 9-1-0 — with four games remaining — and are the top team in the conference. It’s a season no one saw coming, not even the players. And Mount View is spreading its scoring around, giving it a balanced attack. The Mustangs have had 10 different scorers this season, with six different players providing assists. Mount View played its first game in a week, but it showed little signs of rust Tuesday. 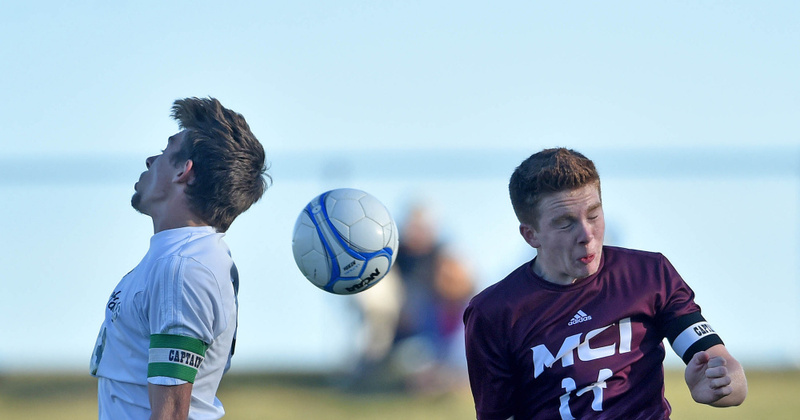 The Mustangs kept possession of the ball through much of the first half, keeping the pressure on MCI (5-4-1). 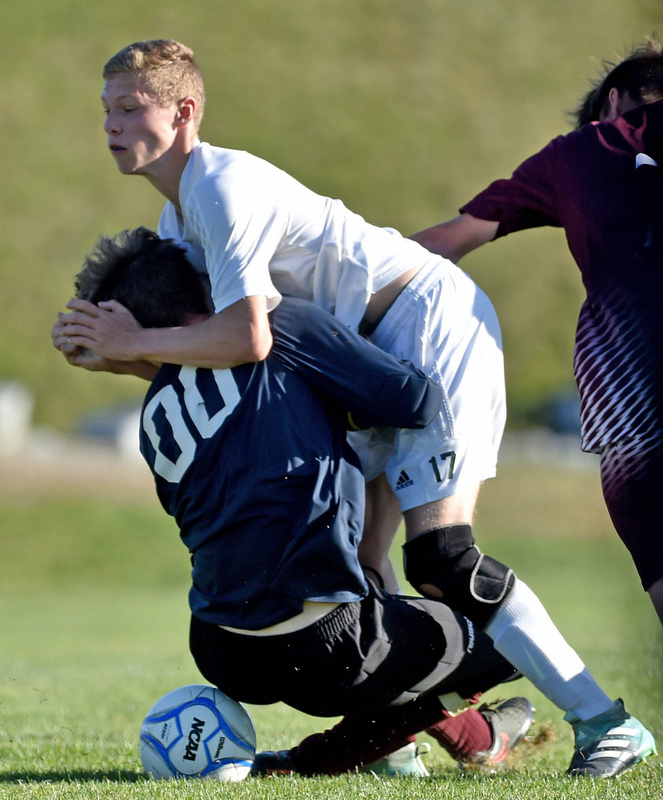 Mount View notched its first goal midway through the half, when Noah Oathout connected with Logan Curtis on a beautiful cross, just beyond the outstretched hands of MCI goalkeeper Duncan Boreham. 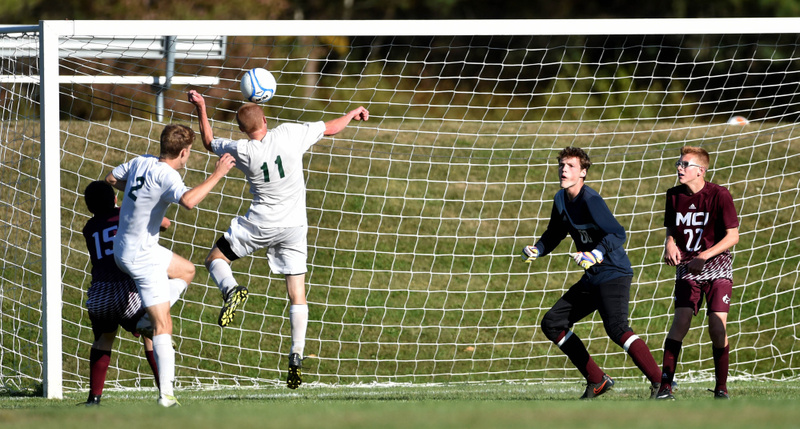 Curtis knocked the ball into the net for the 1-0 lead, where it remained until halftime. It was Curtis’ team-high 18th goal of the season. Mount View tallied its second goal early in the second half, as sophomore Elijah Allen took a Josh Larrabee pass in front of the net and nailed it home for a 2-0 lead. Pound added to the lead when he found open space in front of the net and buried a shot midway through the second half. Down throughout the contest, the Huskies — in a battle for playoff positioning as it entered the game as the No. 12 seed in B North — were resilient. 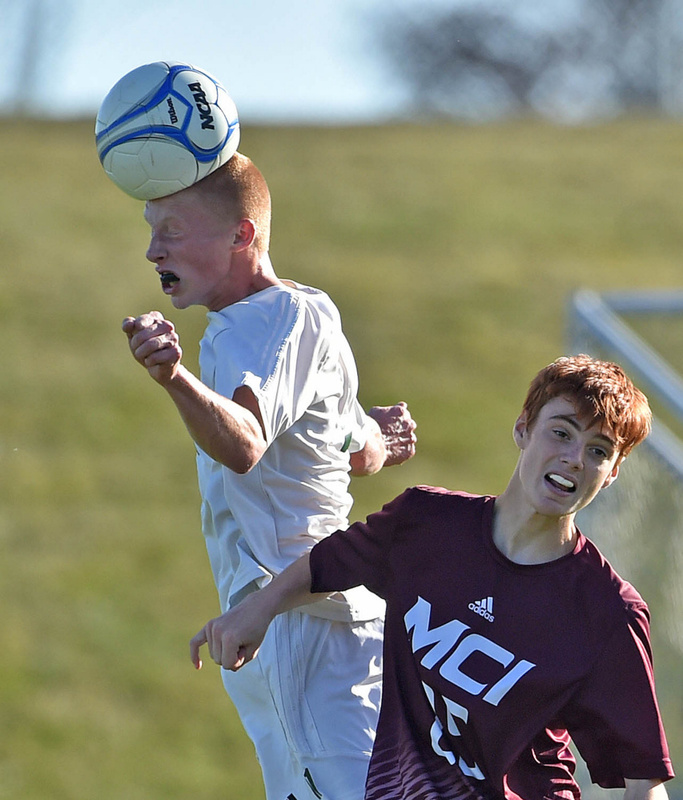 MCI scored with 13 minutes to play, as Pedro Roberto Fernandes found the ball in a scrum in front of the net, then slipped it past Mount View goalie Max Tomlin. 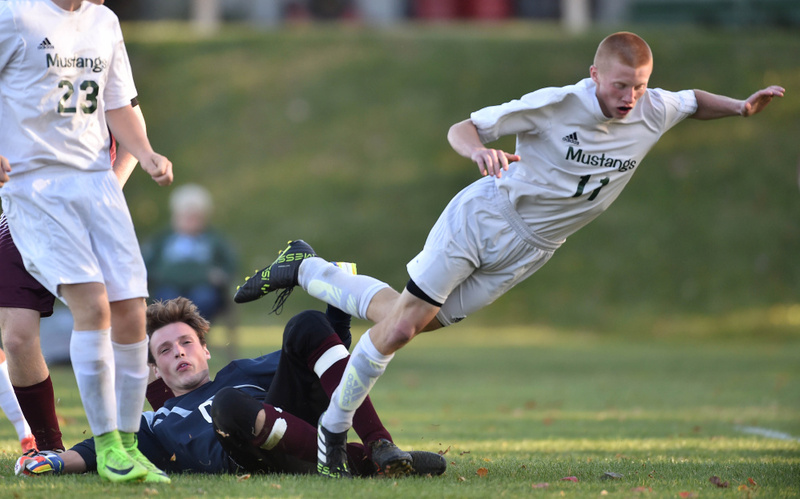 The Mustangs still face challenges in their next four games. They play playoff-hopeful Mount Desert Island on Saturday. 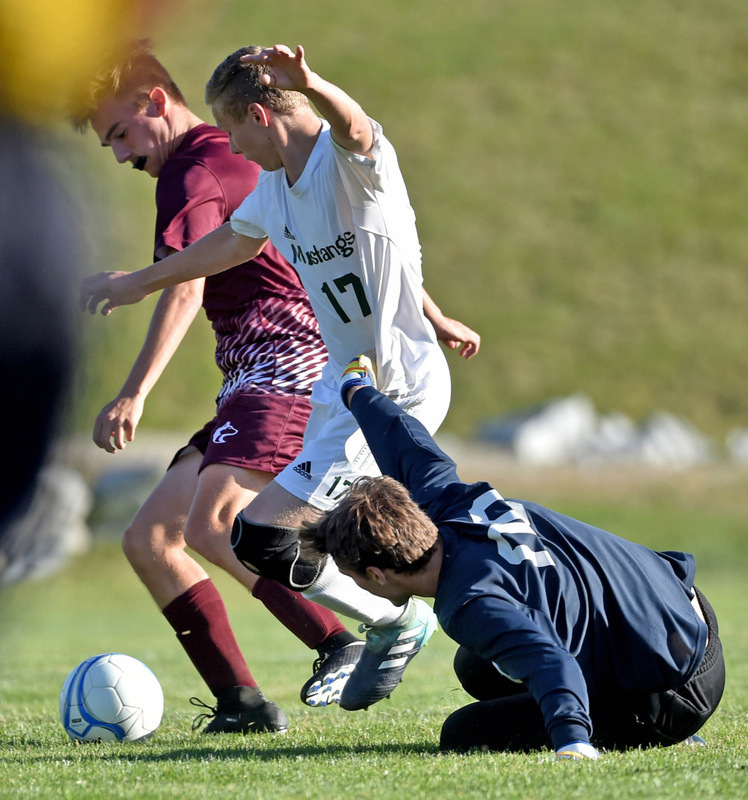 They also travel to Foxcroft Academy — the No. 8 seed in the conference — for a match on Monday. The Mustangs are ready to do what they’ve done all season: Exceed expectations.